EU environment ministers have rowed back on average CO2 targets for manufacturers, amid industry concerns that they were unrealistic. Last week saw MEPs vote in favour of a 20% targeted reduction in new car and van CO2 emissions between 2021 and 2025 and a 40% reduction in 2030. However, the final agreement yesterday between EU member states has set out just a 15% reduction for cars and vans by 2025 and 35% for cars (30% for vans) by 2030, in line with the Commission’s original proposal. In addition, countries with low GDP receive an additional bonus for selling low- and zero-emission vehicles. A derogation of niche manufacturers making up to 300 thousand cars was extended, notably benefiting Jaguar Land Rover, although this has caused controversy. Jonnaert also called on the European Commission, the European Parliament and the Council, which will now start the negotiation process on the final agreement – expected early 2019 – to strike “the right balance between protecting the environment and safeguarding Europe’s manufacturing base – while at the same time ensuring affordable and convenient mobility for all citizens”. However, the agreement between EU nations, which comes as the Intergovernmental Panel on Climate Change (IPCC) highlights the urgency of action on climate change including on transport, has met with anger from environmental groups. Morten Thaysen, clean air campaigner at Greenpeace, said: “The IPCC made it very clear just this week that we’re now playing catch up to limit the irreversible damage from climate change and salvage a future for our children. “At the first hurdle, EU ministers have failed to rise to the challenge with an agreement incompatible with efforts to keep climate warming to 1.5 degrees. European NGO federation Transport & Environment (T&E) also said the new position falls well short of what is needed to meet the EU’s 2030 climate law and avoid dangerous climate change as highlighted in the IPCC’s report. 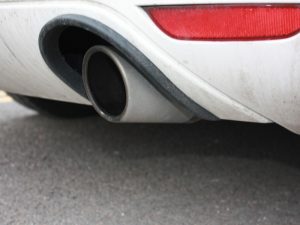 Greg Archer, clean vehicles director with T&E, said the decision “shows how far the Commission and some member states have shrunk from climate leadership putting carmakers interests first despite the dire warning of the effects of dangerous climate change”. He also said refuted industry comments about the economic impact of stricter targets, saying that higher-reduction targets will speed up the transition to low and zero-emission cars and create more than 200,000 net additional jobs by 2030 in both the car sector and in the wider European economy, and called for the forthcoming negotiations to achieve “an ambitious deal that puts the EU on track towards limiting warming to 1.5 degrees and is also good for jobs, cleaner air and consumers”.